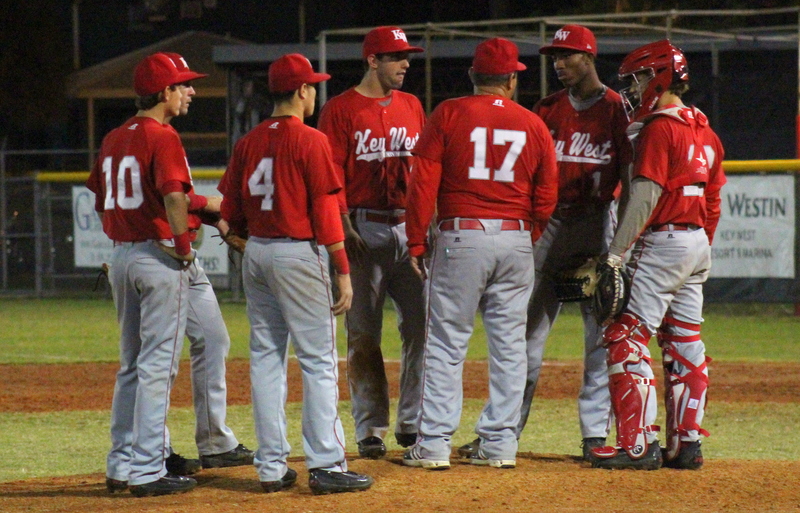 The Key West High School baseball team found themselves down in both games this past weekend, but in the end came out on top against the North Port Bobcats in both games. The first night the Conchs won 5-4, the following 4-3. 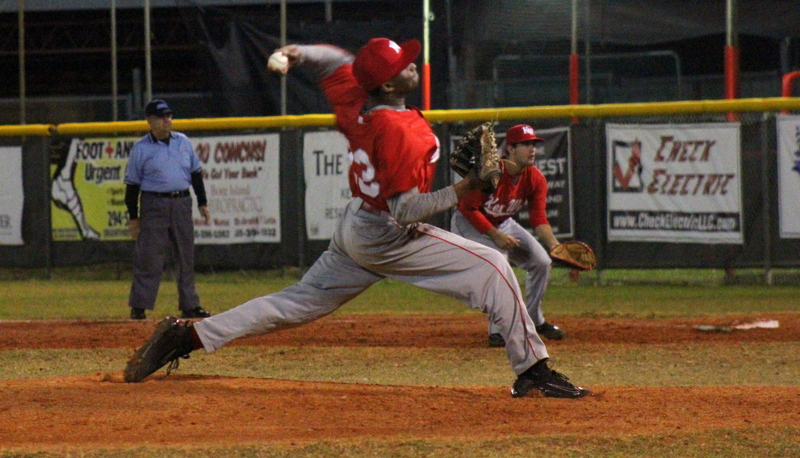 On Friday night, Hunter Sellers was on the mound for Ralph Henriquez’s young squad. Sellers found himself in a jam early on, giving up three runs in the first inning. However, Key West was able to cut at the lead in the second. Scoring with runners on the flats, the Conchs were only down 3-2 heading into the top of third. Sellers’s night ended in the 5th as Kyle Irrabino came in as relief. With a man on second and third, Irrabino loaded the bases after hitting the North Port batter in the arm. The Bobcats were only able to bring one runner as the next batter flew out to center. In the 6th, North Port had a two run lead over the Conchs. No runs were scored in the sixth, as the Conchs only had one chance left in the bottom of the seventh to either win or go to extras. Next thing they knew, the bases were loaded and Alvin Howard sent one booming into center which tied the game at four. The North Port dugout was silenced as Rex Weech filled with energy. The Conchs had runners on second and third and attempted to steal home. The runner was caught at home and it seemed as those free baseball would be played. After a single to left advanced the Conch runner from second to third and a wild pitch by the North Port closer, Key West had completed the comeback and won 5-4. Saturday night, Hunter Mattheessen got the nod to start for Key West. 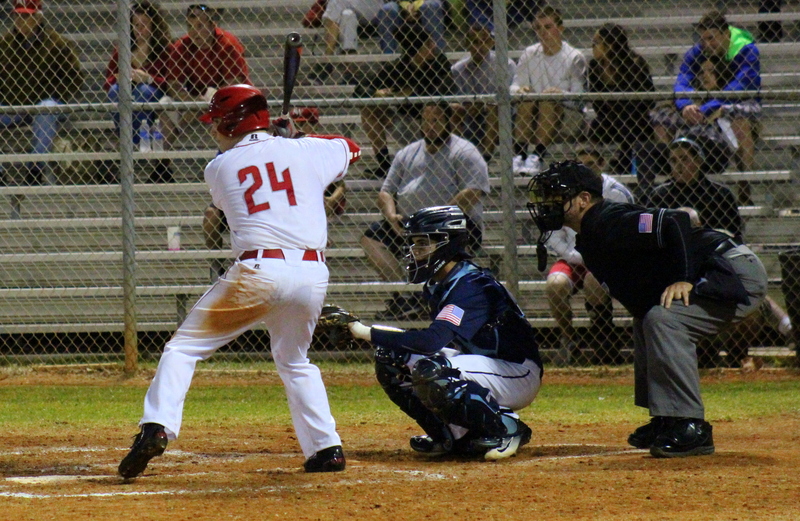 In the bottom of the first, the Conchs were already on top with a one score lead after a triple from Randy Garcia. Garcia was brought home after a single from Sellers to center. In the third, it was North Port’s turn to score. The Bobcat base runner stole second then came home after a shot to left field. 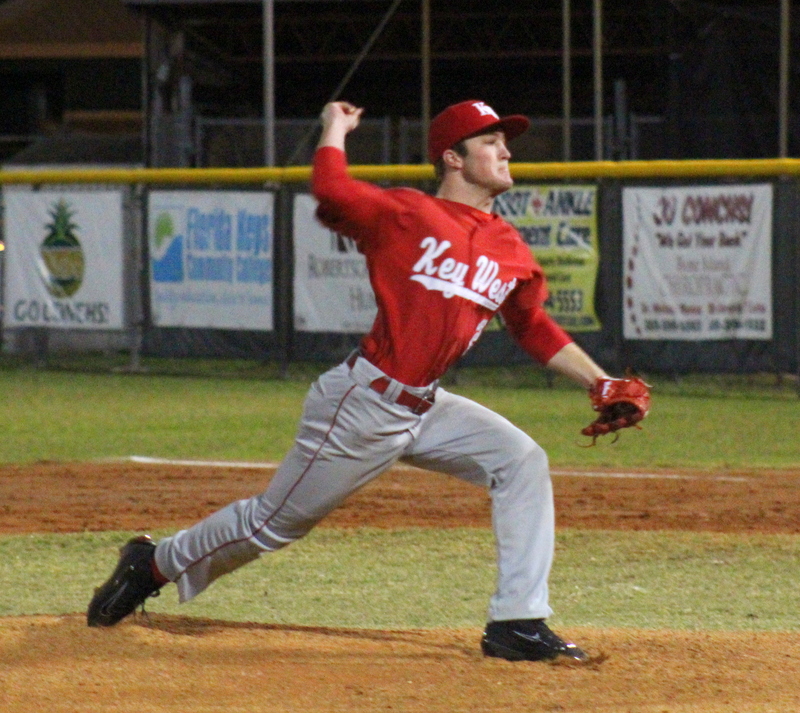 Mattheessen struck out the next batter, but by the end of the third, North Port had a two run lead. 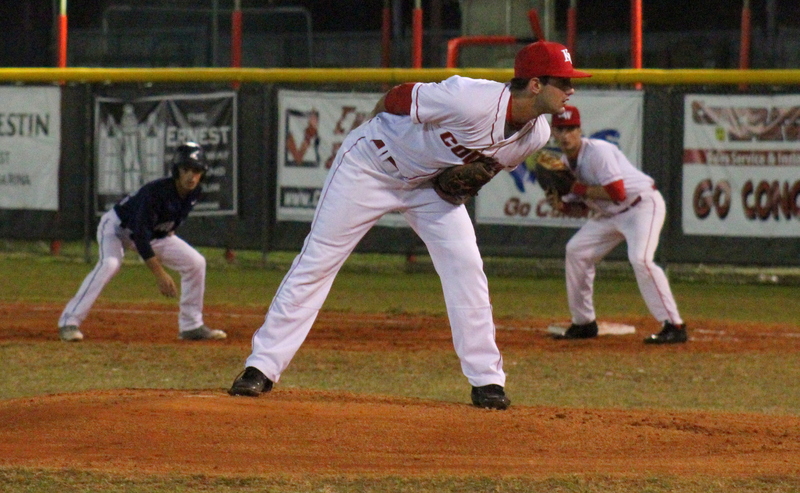 Mattheessen struck out his final batter finishing with five strikeouts, giving up three runs. Ty Hughes came in as relief and struck out his first three batters. With two solid hits from Irrabino and Antonio Knowles, the Conchs chipped away at lead, trailing 3-2 after five innings. Damon Taylor would finish the night off on the mound and keep North Port from scoring. Sellers had a triple of his own which brought home Jason Garcia and the game was tied at three a piece. The very next play, Christian Luna brought home Sellers and once again the Conchs completed the comeback this time winning 4-3 over the North Port Bobcats. Key West travels on the 26th to face Southridge in a non-conference bout then return home on the 27th to host Gulliver Prep in a critical District 16 match up.